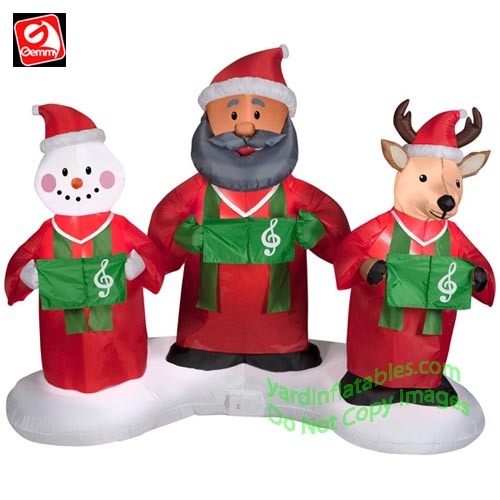 African American Santa, Snowman, and Reindeer Gospel Trio! 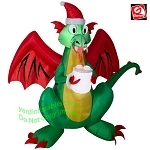 Santa Sings Along With His Friends To Beloved Gospel Favorites! 6' Tall x Over 6 1/'2 Wide! 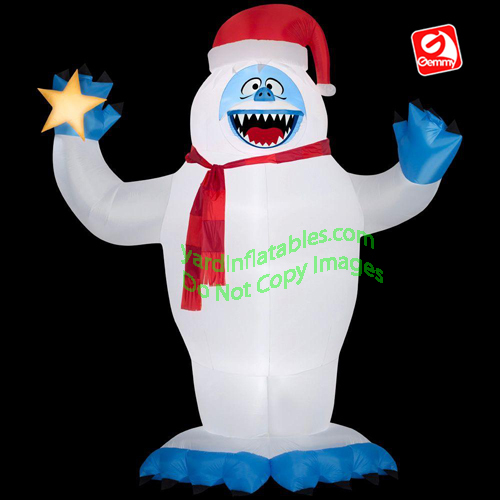 This Gemmy Air Blown Inflatable Christmas Decoration comes with built in fan, internal lights to create a glowing night-time display, Sound box, yard stakes, stand and tethers.